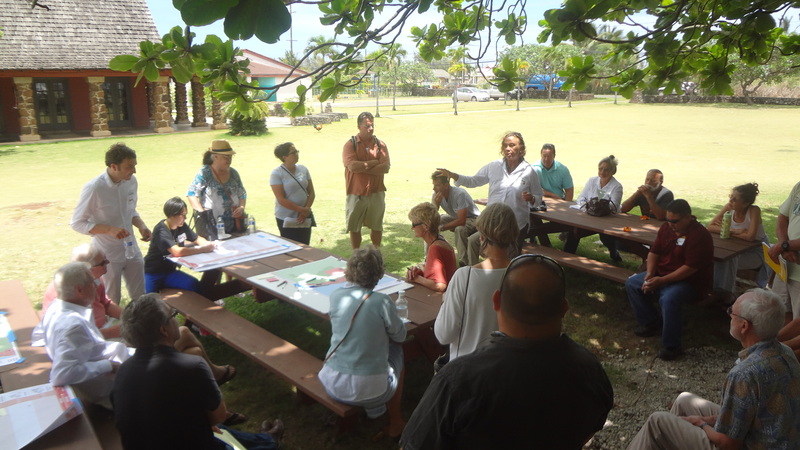 Coffee with Planners on April 10th, 2017! 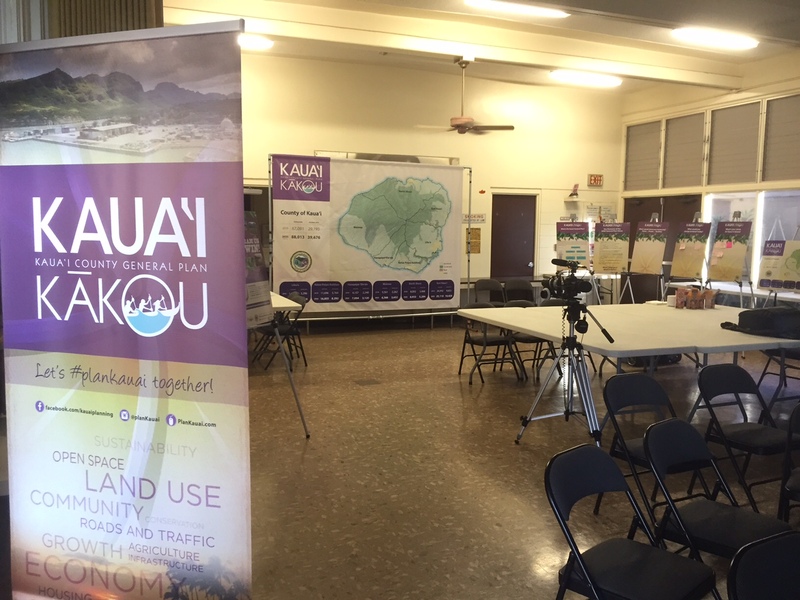 Public Comments on the Discussion Draft now Available for Viewing! 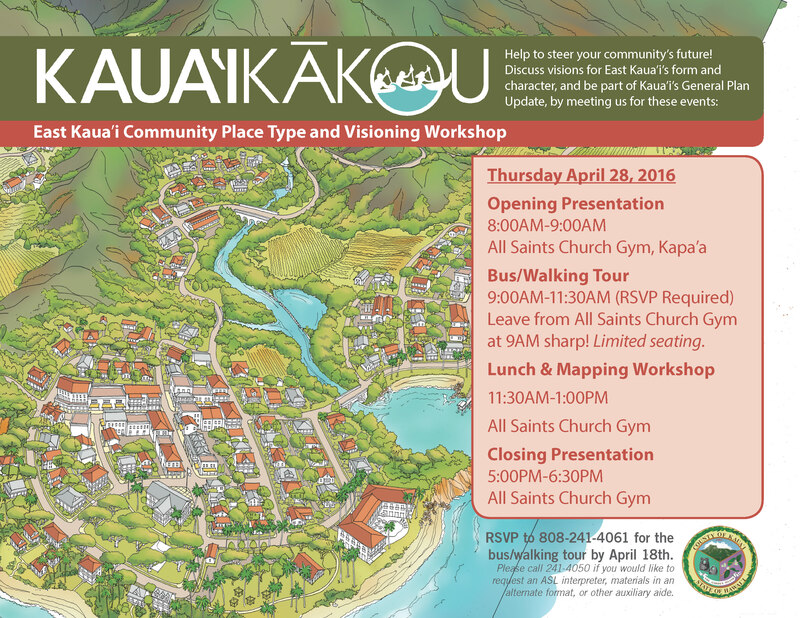 Join us for Community Open Houses this month! 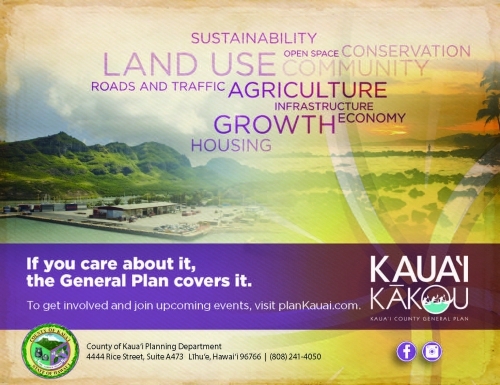 The General Plan Discussion Draft is here! 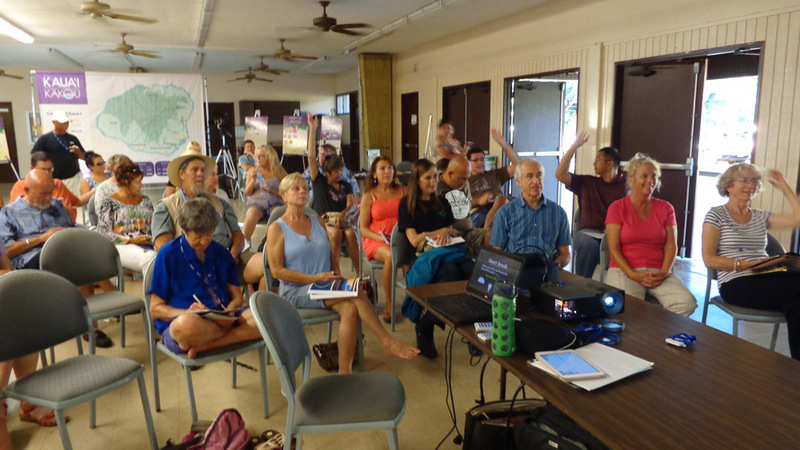 Public Outreach Update: Stay Informed and Involved this Fall! 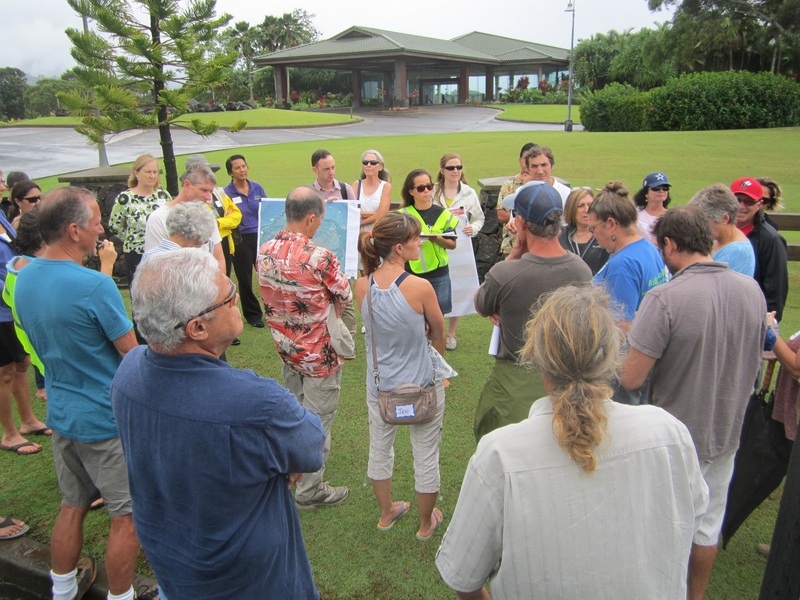 Join us for Community Bus/Walking Tours and Charrettes this November! See What Others Are Saying About the GP Update! 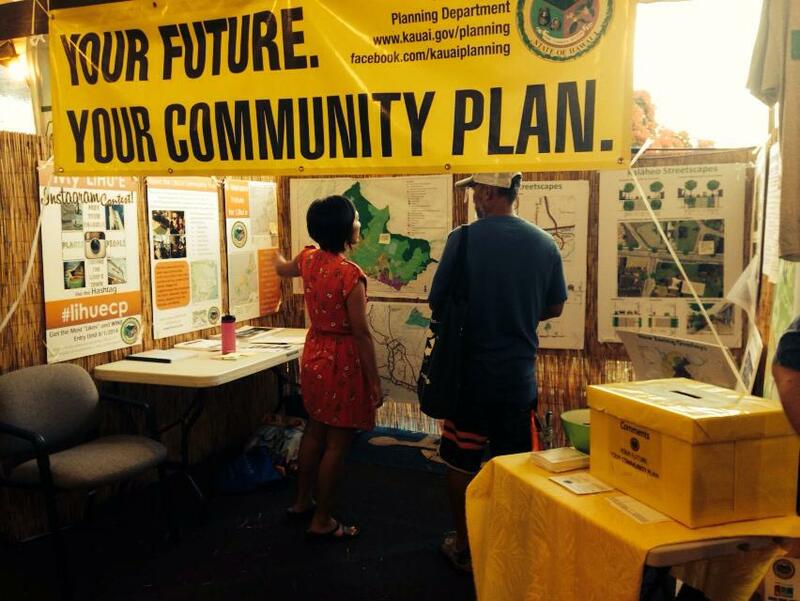 What’s on this Fall with the GP Update: Farm Fair, Project Updates, and More! 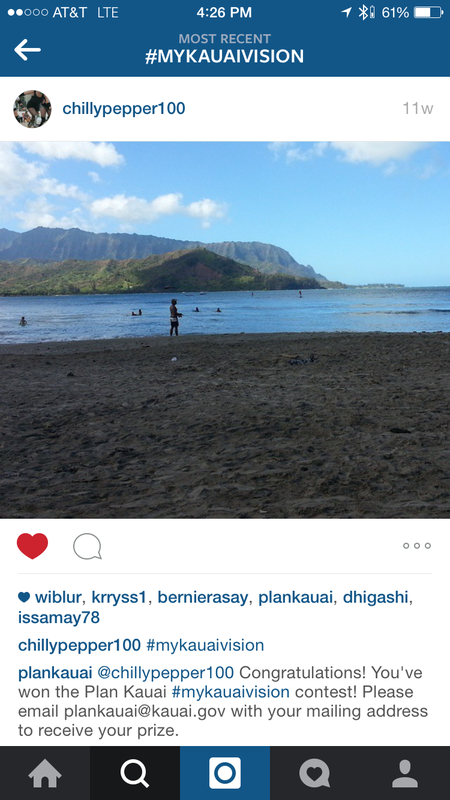 Congratulations to the #mykauaivision Instagram Contest winner! 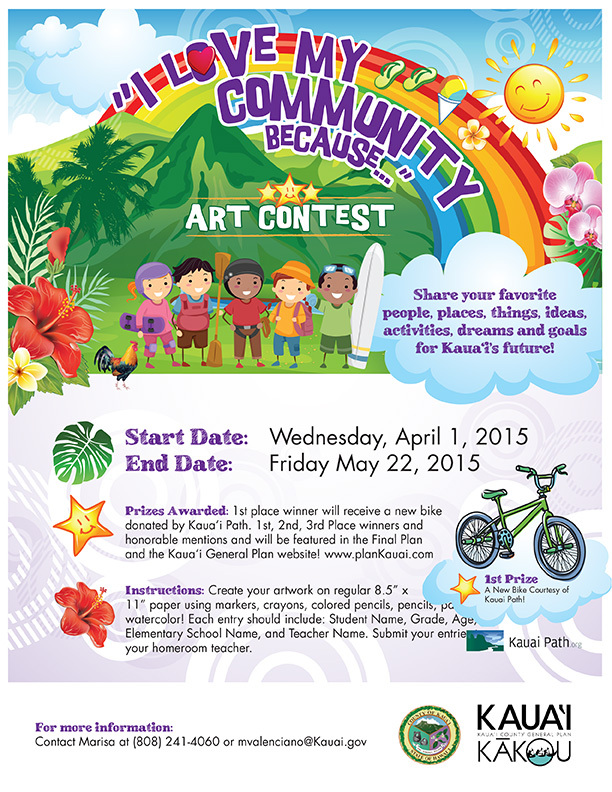 Meet the Winner of the “Kaua’i Kākou: I Love My Community” Keiki Art Contest! 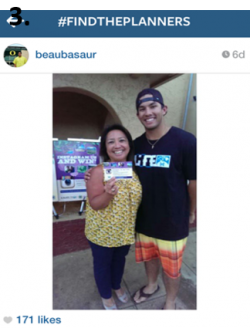 We have a #findtheplanners Instagram contest winner! 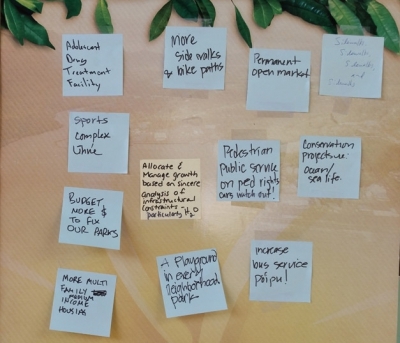 Here’s what’s on at the Community Meetings! 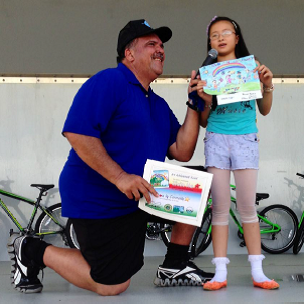 Join us in May for the GP Community Kickoff Events! 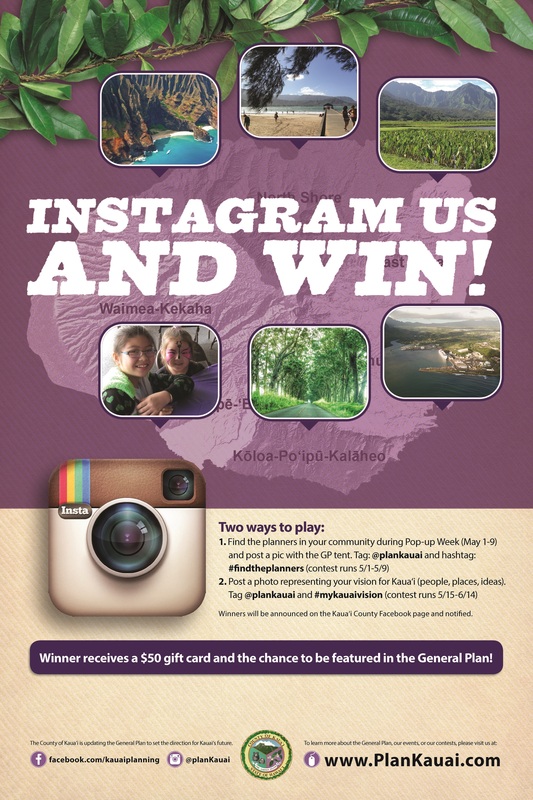 Plan Kaua`i Pop-up Week: Coming to a Neighborhood near you!